From September 10th to 12nd, the Division of Urology of School of Medical Sciences (SMS) of University of Campinas (Unicamp) welcomed Prof. Ervin Kocjancic, from the University of Illinois College of Medicine, Chicago, USA. Prof. Ervin is a world reference in Reconstructive Pelvic Surgery, Functional and Female Urology. He had activities in the Postgraduate Program in Surgical Sciences, recorded classes for under graduation students and residents (available in the Moodle Platform). Also, he participated in a Workshop for the urological community and in surgical procedures with the Division of Urology team. Several of the activities were broadcast on YouTube's UrologiaUnicamp channel for Brazilian and Latin American attendants. 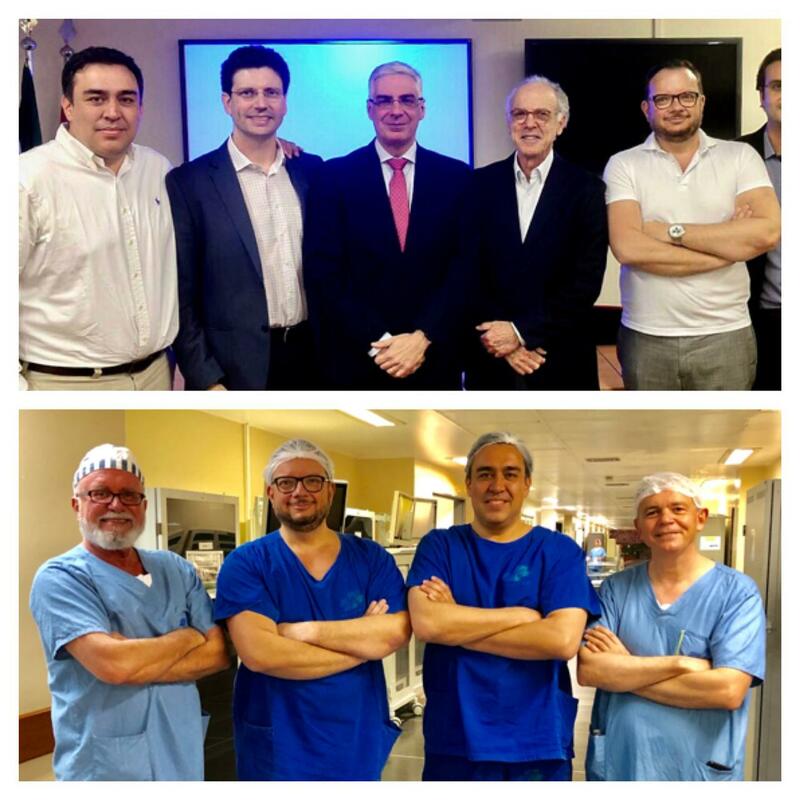 Dr. Alejandro Tarazona, from Clinica de la Mujer (Bogotá, Colombia) also attended to the meeting and shared his experiences about neurourological diseases with the Brazilian team.Professors Carlos D'Ancona, Paulo Palma, Cassio Riccetto and Daniel Moser organized all the activities.